The raves for Grand Theft Auto V continues particularly with the recent release of its PC version (Microsoft Windows). This has long been awaited and now that it’s finally out after four years of waiting, PC gamers are very ecstatic. The GTA 5 open-world and adventure video game was already released two years ago but for the Xbox 360 and PlayStation 3 only. By 2014, the improved version was released for PlayStation 4 and Xbox One. This very popular game among boys, young and old alike, is set in San Andreas, a fictional state in Southern California. Originally a single-player story, it revolves around the lives of three criminals and their moves to conduct heists. As expected, GTA V for PC boasts of various enhanced features such as new weapons, vehicles as well as damaged and weather effects. Traffic is denser this time, there’s more wildlife and a new foliage system. The upgrades in the visual and technical aspects are oustanding with the ability to display the game in 4K resolution. These improvements including the First Person Mode are meant to allow players to experience a more detailed environment of Los Santos and Blaine County. Players who are fond of sharing gameplay clips on YouTube and Social Club should be able to do so by taking advantage of the new Rockstar Editor. The editing tools let you create and publish gameplay clips and share them online. A big plus for this PC version is the addition of the Grand Theft Auto Online. The online for PC version allows multiple players up to 30 people and lets them engage in cooperative or competitive games. It’s no surprise that the Grand Theft Auto V broke its sales records. It is now considered the fastest-selling entertainment product in history after earning US$800 million on its first day of release. It grossed US$1 billion during its first three days of release. 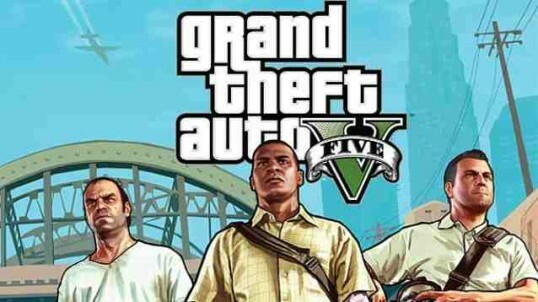 GTA V has become a very popular title in console gaming. It has also gained several Game of the Year awards from different gaming publications including the Most Immersive Game title at the Inside Gaming Awards, Platinum Award at the PlayStation Awards and the Best British Game from BAFTA. This Rockstar-developed game received much raves in 2014. It earned the fourth spot in the Games of the Generation 20-1 list of Computer and Video Games while it ranked eighth in the Top 100 Games of a Generation of IGN. Game Informer, for its part, placed the game on third in its Top 1- Action Games of the Generation list.